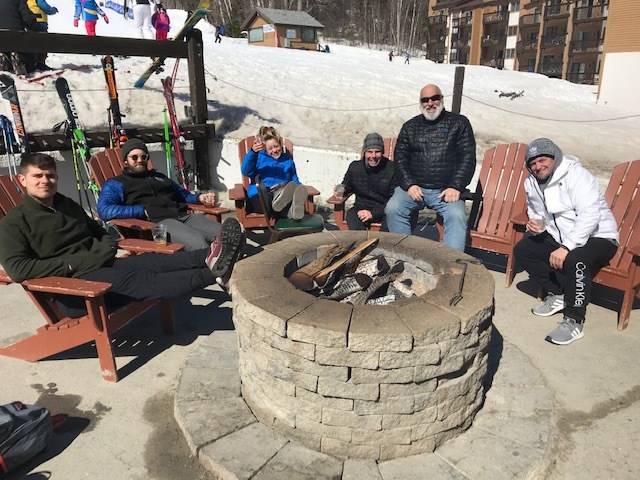 The 2019 ski and ride season turned out pretty good overall. 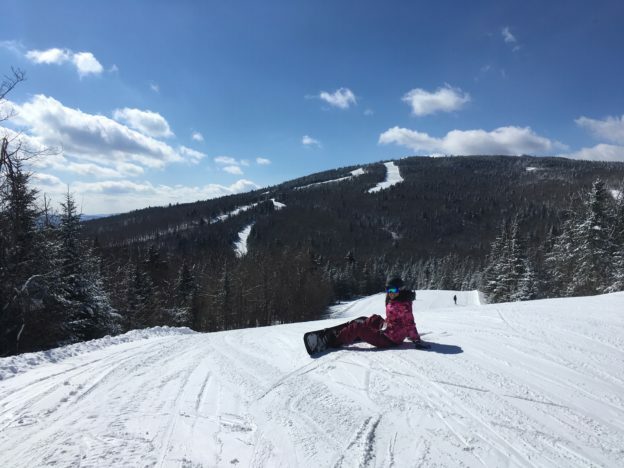 The season got off to a wonderful start with a very snowy November and December. I got out on the slopes 5 times before the Christmas holiday rolled around. That was a very nice start to the season. 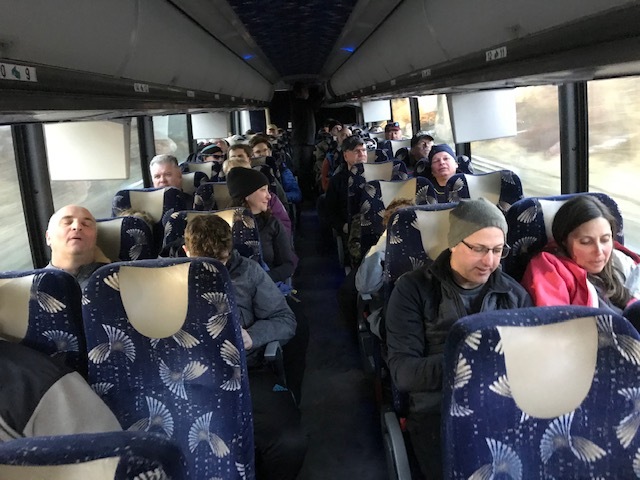 January and February, like they always do, brought along spates of bone-biting cold, splashes of warmth, and sporadic snow events all laced together with your run-of-the-mill winter weather. There did seem to be an overabundance of high winds this past season, with too many days when lift service to mountain summits was either restricted or curtailed. Unlike last year, this March did not grace us with mega-snow storm after mega-snow storm. 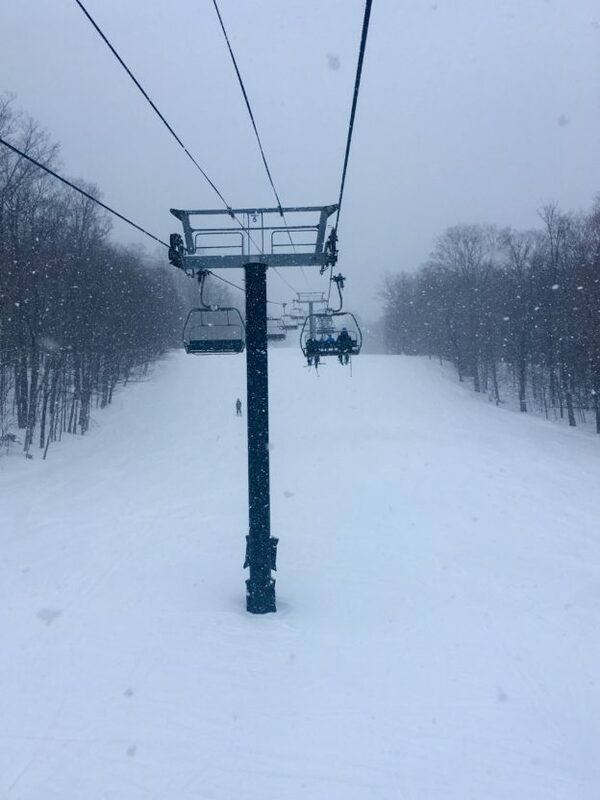 Snow did fall, enough keep things freshened up, but not enough to really dress the slopes off in white like March of 2018. And so the season winds down. Ski mountains are shuttering all but the main lodges, turning off the power to lifts not servicing the main face, and shrinking open trail counts daily. It’s not over yet, but the season is most definitely on the wind down. Bring your skis or snowboards to Avie’s Ski / Sports for a tune up. Get the edges sharp, the base refreshed, and a coat of wax applied. Ask for “The Works” when you bring them into Avie’s. Better still, ask for your skis or board to be “Summerized.” You get The Works, but we apply a thicker coat of wax to seal the base so it stays pristine, and holds wax better next season. Bring your gear back in the fall. We scrape off the wax and buff the base to a super slick, super shiny finish. If you love your gear, and want your gear to love you, Summerize. Store skis and snowboards in a dry area with some decent air circulation. Don’t toss them in a corner of the garage or your cellar. Chances are that when you grab them next season, they will be full of rust and oxidization. Not only does it look nasty, it is ruining your gear. Sure, Avie’s can remove the rust and oxidization, but we often have remove a lot of base material and/or metal from the edges. Both significantly reduce the lifespan of your skis or snowboard, and may affect performance characteristics. Take those ski or ride boots out of the closet where you tossed them. Pull out the liners and remove the foot bed. Mix up a bucket of cool water and a very little bit of unscented soap, then plunge in the liners and work the soapy water around really good. Rinse multiple times to get rid of all the soap, then leave somewhere with good air circulation to completely dry. This will keep the liners fresh and clean. DO NOT put boot liners in the dryer!! Heat moldable boot liners—which is most all that are on the market today—will shrink significantly. Only put them in the dryer if you want new booties for your doggie. Liner already “stinky?” Use an anti-bacterial soap. When completely dry, spray with a deodorizing shoe spray (there are several on the shelves at your favorite drug store), and let dry for a day or two. After cleaning the liners and reassembling the boots, buckle or lace them loosely. This will help keep the shape of the outer shell intact so that when you slip into them next, they fit the same. Take your ski jacket and ski pants, and put them through a wash cycle. Be sure to read the tag inside the garment first, and follow the directions. If your jacket or pants are waterproof, properly washing and drying them will refresh the waterproofing. And I repeat, read and follow instructions on the garment tag—to the letter. Some garments, for instance, will lose their waterproofing if washed/dried using fabric softener/dryer sheets. 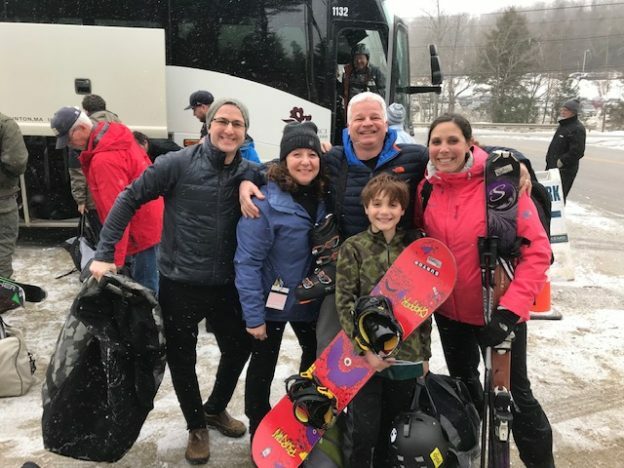 If you have a Seasonal Lease package from Avie’s Ski / Sports, we do ask that you bring all the equipment back to the shop at your earliest convenience. We need to clean up and service hundreds of pairs of skis and many, many snowboards, so we appreciate your returning them early. It’s our goal to get “winter” out of our system by closing the tuning shop before Memorial Day rolls around. Not Ready to Call It Quits? That’s great! We love die-hards! We do suggest however, that you bring in your skis or board for a quick wax job. With the snow softening up and getting super wet, having a coat of wax will help reduce the jolt you experience hitting those really wet patches on the trail. 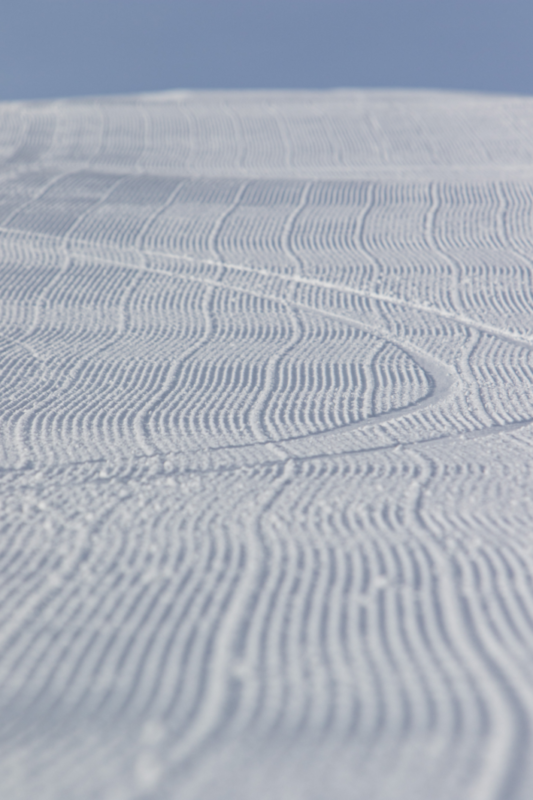 And the wax helps make the skis or board less “sticky,” giving you a better ride down the slopes. If you wax your own skis or board, now is the time to stop in at Avie’s Ski / Sports and pick up a bar of SWIX “yellow” wax. It will make you slide along so much better during those lovely spring days on the slopes. 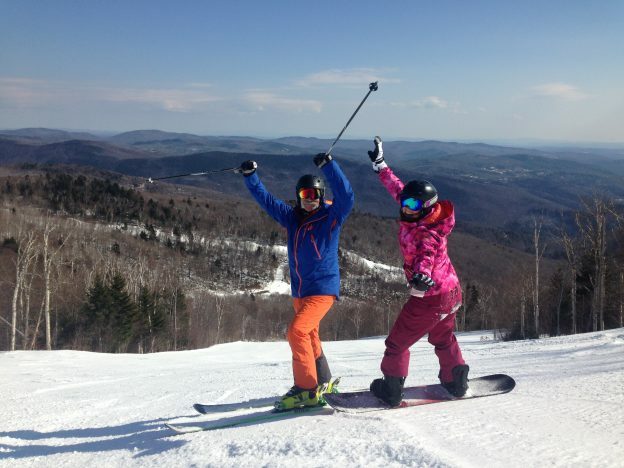 Avie’s Ski / Sports will be making the transition from winter to summer over the coming month. Stop in and look for some deals and steals on winter gear. If you buy it, we don’t have to move it to it’s summer home! Regardless where, or how…..Enjoy Spring! This entry was posted in Gear Knowledge on April 1, 2019 by Alan Desbonnet. The title sounds like a cyber-style remake of a “Rocky” movie, or the next sequel to one of the many super hero type movies out there. But it’s not that far fetched. And more importantly, it’s about skiing. 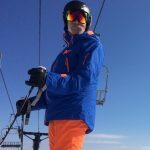 Last fall I had a post titled “Ski Boots—Year of the Boot.” In that post I made mention that I would get out another post about differences between 3-buckle cabrio and 4-buckle overlap boots. So here is that post. So you better understand the starting point, both boots were used pretty much “out-of-the-box.” The liners in the Krypton Pro boots were heat fitted. I did not heat fit the DS 130 boots because they felt great right out of the box. In each boot the factory provided footbed was replaced with a Sidas 3Feet custom footbed, sold at Avie’s Ski / Sports. For the past few seasons I have been skiing in a pair of Dalbello Krypton Pro 130 boots. These are a 3-buckle cabrio boot with a 130 flex rating. They are very snug fitting, high performing boots. Cabrio style ski boots have 3 buckles, making for very easy foot entry, and exit. It is almost as easy as slipping into a regular pair of shoes. Seriously. No grunting or groaning or twisting and turning of the foot to try and jam it into the boot. Pull apart the liner and in the foot goes. 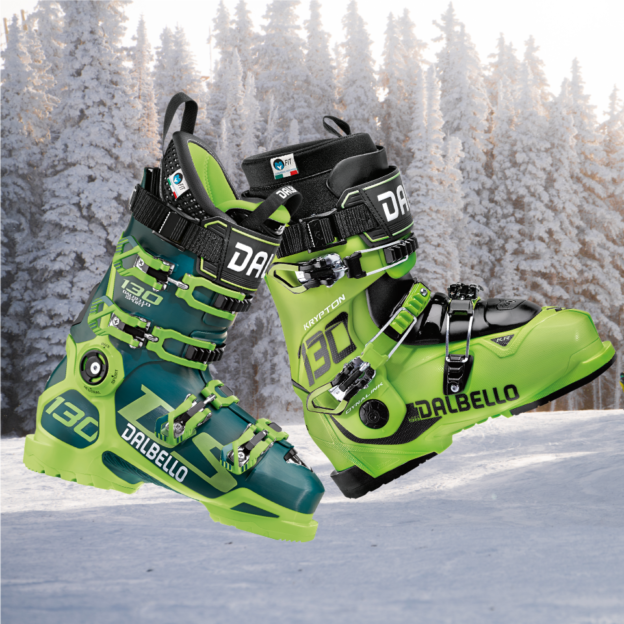 But this year Dalbello came out with the new DS line of boots, whose design is taken right off the mechanical drawings for their DSR race boots. The Avie’s sales rep for Dalbello, Scott Heald, took us through how DS boots are put together from different injection molds to add stiffness while reducing weight. Scott had been skiing in Krypton Pro 130s and made the jump into DS 130s. So I figured I would try the same, see what I thought, then pass that along to you. Krypton Pro 130 is a 3-buckle, cabrio-style, freeride, 98 mm last (width) ski boot. The boots are stiff, narrow, and high performance. They provide progressive flex as the tongue of the boot is pressured by the skier. The progressive flex allows the skier a great deal of finesse in how power is applied to the ski. The boot and liner are also designed to be more impact absorbing. These are great assets for those playing in the park, the bumps, and the woods. DS 130 is a 4-buckle, overlap-style, 100 mm last (width) ski boot. They are a stiff, high performance boot designed after the Dalbello DSR race boot. That little bit of extra width provides for a little bit more comfort. Power transmission to the ski is nearly immediate, and precise. These are great assets for corduroy carving control freaks who want a bit more comfort than that provided by traditional race boots. The first difference I noticed is that the DS 130 boots, like all 4-buckle overlap boots, were way less fun to get my feet into. I admit I was a bit out of practice after sliding my foot oh-so-sweetly into that pair of Krypton Pro boots for the past few years. Round One—ease of entry and exit—definitely goes to the Krypton Pro. Hand downs, no questions asked. Not even a close comparison. Once in the DS 130, the fit is quite nice. The newly redesigned liners are plush and comfortable. Despite the extra 2 mm of width—which I thought might be too much space—the boot fit incredibly well. I always had just a bit too little room in the toe box of the Krypton Pro boots, especially for my left foot, which is a bit bigger than my right foot. It’s not that Krypton Pro is uncomfortable, but they are not comfortable. The DS 130 fit was quite comfortable. That made up for the struggle to get into them. Round Two—comfort without any fitting—goes to the DS 130 boot. While the DS 130 boots were very, very comfortable—no worries about keeping them on all day long—I did wonder if that extra 2 mm would be too much once clamped in and I was flexing into the front of the boot and tongue. But once I clamped down and adjusted the micro-adjusting buckles for a snug fit, I found my heel to be nestled nicely in the heel pocket of the boot. When I flexed forward and tried to lift my heel, it felt no different than the response in the Krypton Pro boots. Round Three—foot position and heel hold down—was a tie. Standing around in the lodge or living room or ski shop in a pair of ski boots is a bit different than having them out on the slopes and clicked into a pair of bindings attached to skis. So off I went with the Dalbello DS 130 boots to the slopes to give them a workout. I have skied the DS 130 boots a couple times now. Each session was on my “go to” Volkl RTM 84 skis so that I had a good reference point for comparison to the Krypton Pro 130 boots. 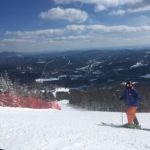 I skied on beginner, intermediate and expert trails. In all instances a big focus was on carving, and how the boots would make the skis respond and perform. That’s how I normally play on the slopes, so it makes for a fair comparison. 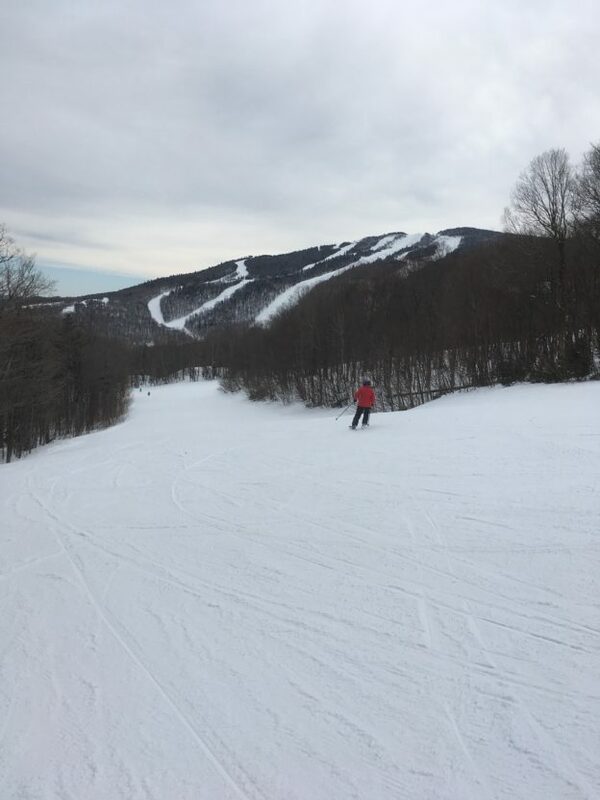 Conditions were typical New England conditions—packed powder groomers that had hard crust underneath, with patches of ice here and there on the trail. On slope, a first, and quite noticeable difference was that the DS boots put me up over the skis more so than the Krypton Pro boots. This is likely due to the slightly different forward lean characteristics of each of the boots. The stance puts the skier in a more positive position for controlling the skis quickly and powerfully, as a ski racer would want and need. There is a distinct and definite difference in how the boots make the skis respond. Krypton Pro 130 gives a more subtle command to the skis to respond, reducing that subtlety in a progressive fashion as pressure into the front of the boot is increased. DS 130 produced more or less immediate response from the skis when pressure was applied. Increased pressure to the front of the boot pushed more power into the response of the ski, but in a very immediate way with the DS 130 boots. Krypton Pro 130 allowed for a bit of relaxation; I could get in the “back seat” a bit and not have the skis decide they could have their own way. Not so with the DS 130 boots; there was a definite “tipping point.” When I backed off, relaxing just a bit too much in my stance over the skis, control was diminished, and quickly. I thought I could carve a ski pretty good in my Dalbello Krypton Pro 130 boots. And I could. But not nearly as well as when my feet were slipped into the Dalbello DS 130 boots. The 4-buckle overlap style boots gave complete and immediate control so I could tip the ski and bury the edge into the snow quickly and with great power. In the Krypton Pro 130 boots, tipping the skis into the snow was a slower, more progressive action that ended in a carve, but one that was not nearly as forceful and complete as from the DS 130 boots. Krypton Pro 130 is a winner because of their ease of entry and exit, and because of their progressive flex nature. They allow me to totally control, with a great degree of finesse, how I want to power the skis. DS 130 is a winner because of their greater width and comfort, and for their ability to power the ski the way I want immediately and forcefully. So which boot wins Round Four—Control? Each boot handles control in a rather different fashion, so it would depend on any individual skier to make that judgement. That’s a good thing because it gives skiers some interesting options. You can already see the endpoint of this debate—there is no single “winner.” Because the contest really isn’t equal. The winner will be whatever boot style best fits your style of skiing. But how might you decide which boot style—cabrio or overlap—is the best for you? Check out Avie’s Ski / Sport website page for ski boots: “Skier Need To Know—Boots.” This page will help you think through and then find the ski boot that might be best for you. After all this, what’s best for me? Honestly, I don’t know. I have worn the Krypton Pro 130 boots for several seasons, and so they feel like an extension of my legs at this point. Not so for DS 130 because I have only skied them a few times. So I know I need more time in them to really get a feel for how they behave, and how I get along with that behavior, in a broader range of conditions. I love the snug fit of the Krypton Pro boots, and the easy going but highly responsive nature they show across the mountain, in all conditions. I adore the ease of entry and exit. But they are not what I would call a “comfortable” ski boot. I love the comfort provided by the DS 130 boots. And I adore their ability to quickly and powerfully drive the skis into deep, graceful, powerful carves. They leave me speechless in that department. But I am not a fan of putting them on, or taking them off. But once the feet are in them, oh such comfort! I am going to keep the DS 130 boots close by, and use them as much as possible over the remainder of the season. I am very much looking forward to clicking them into my Blizzard Quattro RS race skis. That ought to be a match make in heaven. But I don’t intend on making planters out of the Krypton Pro 130 boots. I plan to take them out here and there to refresh my memory, and to compare. This entry was posted in Gear Knowledge and tagged Dalbello on March 2, 2019 by Alan Desbonnet. 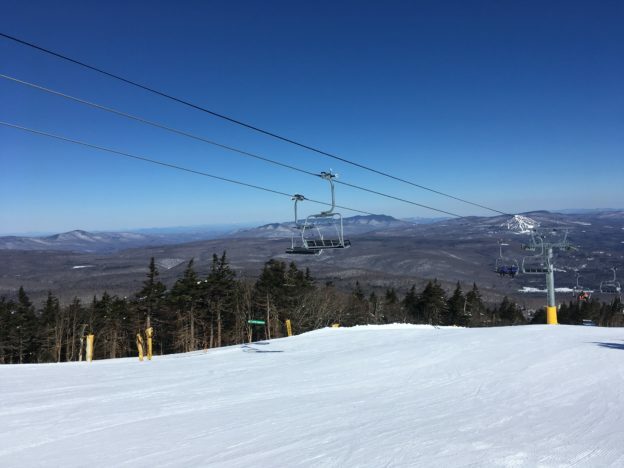 Stratton was my skiing destination on Wednesday. I needed some slope time. Conditions were great. Fast and firm on most trails, with some a bit softer where there had no doubt been some man-made snow mixed into the corduroy stripes. 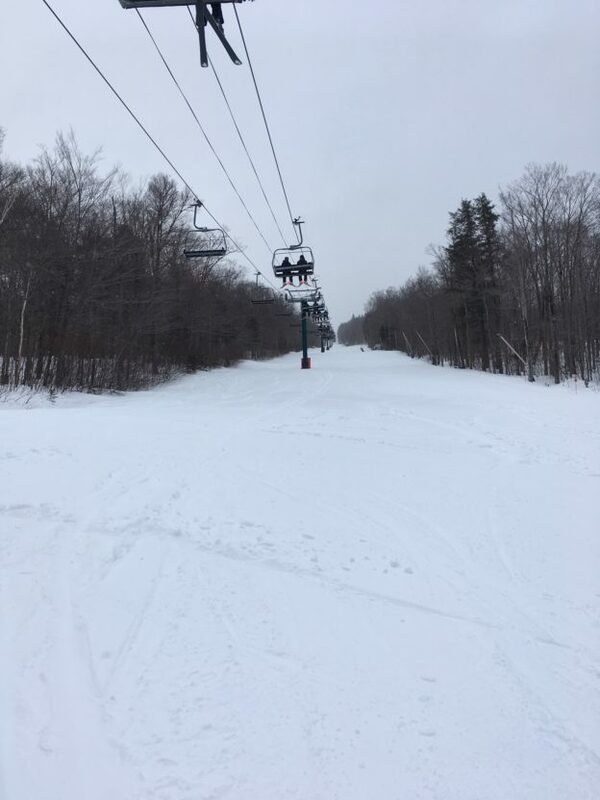 The ungroomed trails, from my view of them as I rode the chairlift, were lumps of hard snow with troughs of ice in between. I didn’t venture into the ungroomed territory. I was a bit hesitant about going because it’s a holiday week with lots of schools being on winter break. But it sure didn’t look like a holiday week. There were 4 cars at the Sun Bowl when I pulled in shortly before 8:00 AM. It was about 3 degrees when I arrived. But without a whisper of wind to be felt, the temp was quite bearable. For the first few hours there were very few skiers or riders out and about. 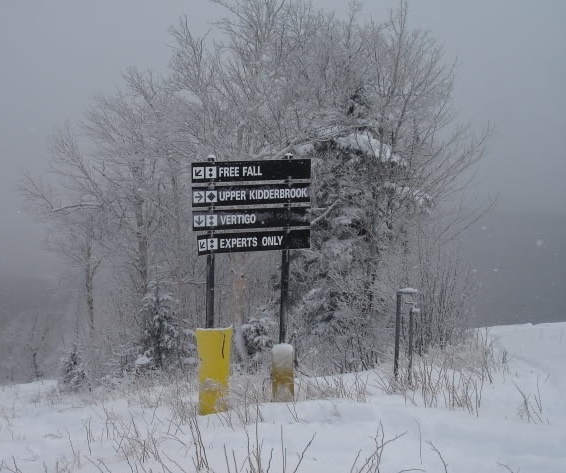 A number of trails were closed, or partially closed, for various free-style and race training events. So there were lots of school kids on the slopes, but they were all clustered in those areas where the training sessions were being held. That left more than enough mountain to play on. 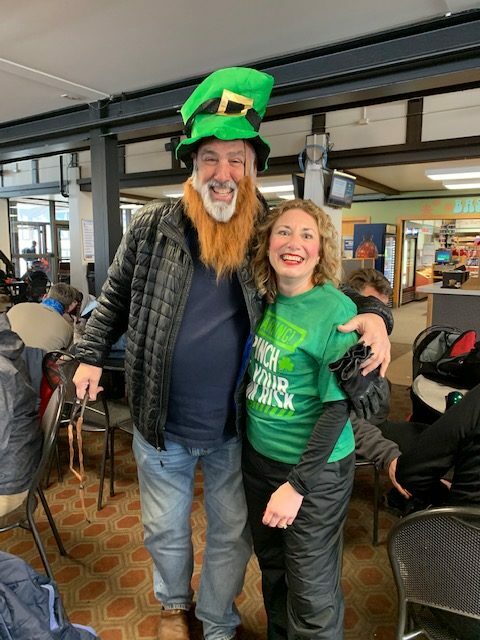 I’m heading off on an annual trip to Killington with my daughter Allison in a couple of weeks. We hit the slopes long and hard, with numerous unofficial challenges to see who gets top-to-bottom first. Each year the challenge, for me at least, gets tougher and tougher. Last year was the first year she beat me down the hill. Not by much, but a clear and clean, unofficial win. As I have said, I needed some slope time. For some reason, and I don’t know why, I have been struggling to ski well this season. Actually that’s not true. The struggle part is true, but not that I don’t know why. I just lost confidence in myself, creating huge self-doubt. That’s the “I don’t know why” part. I ended last season skiing a pair of Blizzard Quattro RS race skis, skiing stronger, faster, and more confidently than ever that I can remember. What happened between now and then to shake my confidence to the point it toppled over and shattered? Like I said, I don’t know. But it happened. So there I was at Stratton. I took a first run down Black Bear, caught an edge and almost fell. Next run I ducked under the gondola and went over to the broad, gentle “meadows” trails for beginners. Caught an edge and almost fell. I wondered if I should head home before I got hurt. 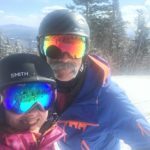 I decided I would go back to the summit and ski my most favorite, and least favorite, single trail at Stratton. How can a single trail be both most, and least, favorite simultaneously you ask? And just what trail at Stratton might that be? That trail would be Kidderbrook. Upper Kidderbrook is big and wide with a few nice steep sections where you can ski a real “fall line” because the trail is basically straight up-and-down. Lower Kidderbrook is a narrow, twisty-turny, not very steep section of trail taking you back to the chairlift. Right at the end, just when you think it’s over, you have to scale a small hill to get up to the lift. It’s my favorite trail because of the exhilarating plunge down the upper portion. My least favorite because you have to wind your way along the long, slow runout back to the lift, then scale a hill to actually get to it. Fun on the upper. Fun-sucking on the lower. Technically it’s two trails, but functionally it’s one. If you ski the upper, you must ski the lower. Why Kidderbrook? It’s a confidence builder. 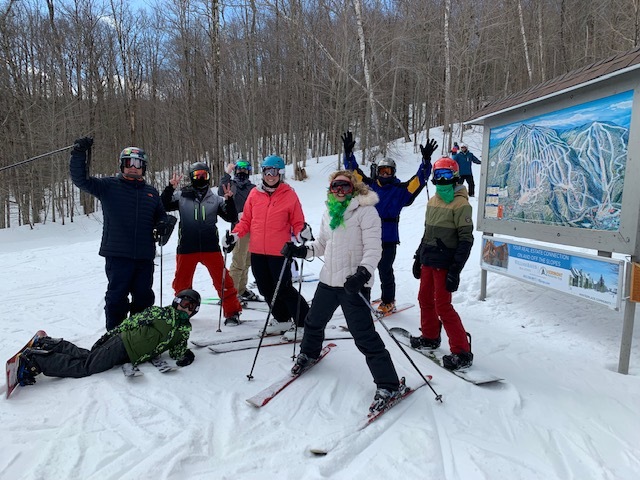 Kidderbrook is the trail I have brought daughters, nieces, and friends onto as they progress from beginner to confident, advancing intermediate. I take them when I see that their skills are good enough, but they are convinced they just aren’t ready ski or ride a black diamond, expert trail. I hustle them past the trailhead sign which clearly says “Experts Only” and shows a black diamond (or two) in front of every trail name. The trail starts easy. On the first plunge, the width of the trail makes it seem more manageable somehow. No woods or twists and turns to worry about on the steep plunge down. And then, at the bottom of the second drop off, you stop and have them look back up the hill. That’s why I was sliding over the snow at the start of Upper Kidderbrook trail at Stratton. For some reason, and I don’t know why, even before I hit the first headwall on Upper Kidderbrook, I felt that focus come back into my head. The thick, nasty miasma rooted in my skull thinned like morning fog over water as a gentle breeze begins to blow. And the body responded. The skis tipped into the snow, the edges bit deep, and we carved our way down the fall line. Confidently. I went back to the summit and skied down Tamarack. Then down Upper Standard. And then anywhere and everywhere, that was groomed. The skis responded as they should. As I knew they could, as I knew they would. I don’t know how the fog of “no-confidence and self-doubt” got into my head, but I hope it doesn’t come back. It’s so very frustrating a thing to feel like you can’t do something that you darn well know you can. The nasty no-confidence, self-doubt thinking creates a self-fulfilling, self-feeding cycle of doubt that takes solid root and blossoms. Fortunately, there’s Kidderbrook, confidence builder. I got my mojo back and working. 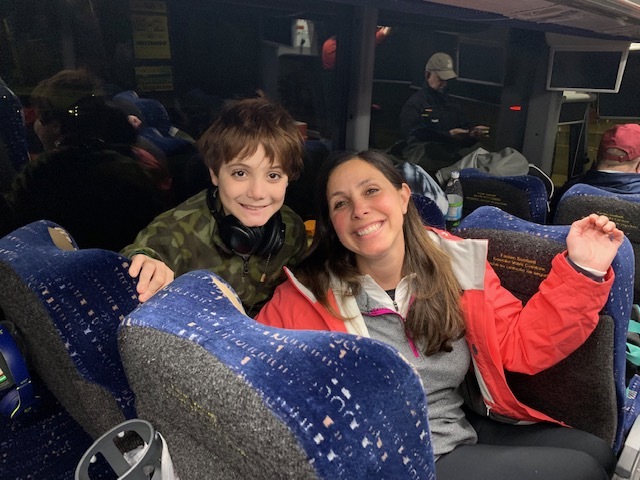 Now I can look forward to Killington, knowing that I can at least keep Allison in sight as she rips down the slopes in front of me. If she is in front of me that is. This entry was posted in Uncategorized on February 21, 2019 by Alan Desbonnet.